How to sell SafeHats to your Boss? Infosecgirls is a community for women passionate about information security. We want to inspire curiosity among women in technology about the realities of information security. 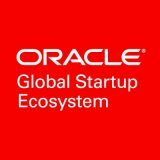 Oracle’s mission is to build a thriving global startup community to drive the digital economy based on collaborative partnerships that enable next-generation growth, business development, and drive cloud-based innovation for startups throughout all stages of growth. A NASSCOM program designed to foster sustained engagement between large corporates and the startup ecosystem in India. We facilitate corporate innovation and capacity creation for partner organizations. SafeHats is all-powerful platform which connects you to a crowd of highly skilled, trusted and curated security researchers to identify vulnerabilities in your applications. Copyright © 2018 InstaSafe. All Rights Reserved.